Now that we are coming to the end of the year, it is time to get your 2017 calendar printed. Everybody can use a calendar for the new year, especially if it’s free. A professionally designed and printed high quality calendar is a great way to keep your name in front of customers throughout the entire year. If you have distributed calendars in the past, you know that they are a good way to reach out to your to your customer base and others. The key to a beautifully designed calendar is to keep your graphics and design consistent and remain focused on a theme. Work with the art department of your commercial printer to showcase your business in a way that highlights your brand message. The layout, typography, graphics, colors and other design elements should all contribute to the theme of the calendar. Your calendar will more than likely feature a large graphic at the top, since an eye-catching photo or illustration will make the calendar more appealing. Be aware that a lower quality image can look pixilated or blurry when it is enlarged. A commercial printer can create high quality prints from an appropriate image furnished by you. Use uncompressed file formats for your images. Your printer may request vector images, which uses polygon shapes in computer graphics. When you order your calendar, make sure to select the format that fits the use of the calendar. Choices include card calendars, smaller magnetic calendars, poster calendars and wall calendars. Familiar wall calendars are the most common and display one month at a time, while card calendars show the entire year. Think of where the calendar will be placed, and how it will be used. For home use, a magnetic calendar to place on the refrigerator may be the way to go, while a high school student may prefer a calendar that can stick to a locker door. It also makes sense to think about what kind of stock to use when you have your calendar printed. An experienced commercial printer can guide you in making the selection. 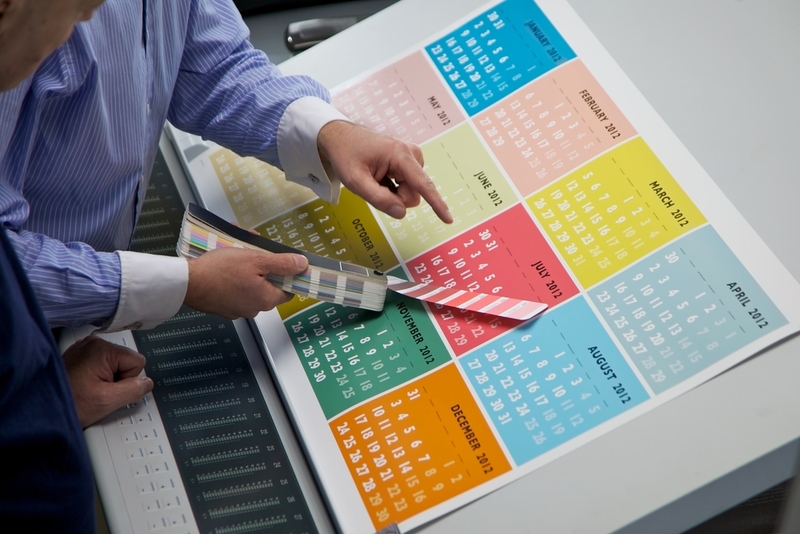 For example, if your customer is likely to write on the calendar, a matte finish stock is appropriate. If not, a glossy stock is an attractive option that will stand up to use throughout the year. PCA Delta is an established multi-million dollar commercial printer located in Pompano Beach, Florida. Our facility offers the latest technology, an onsite graphic arts department and a wide range of capabilities for true custom printing that can brand your company and support your marketing efforts.